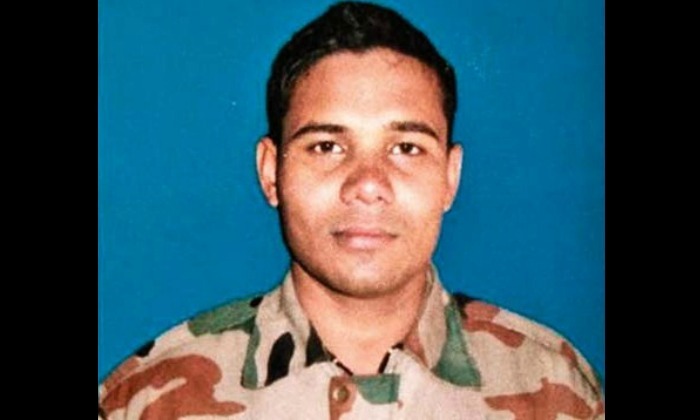 Gunner Astosh Kumar (25) was a a native of Jaunpur in Uttar Pradesh and was a son of the Kargil Martyr Havaldar Lal Sahib, who sacrificed his life in service of the nation in 1999. Gunner Kumar was serving with 13 RR unit deployed in J & K area in 2017. Inspired by his father, at the tender age of 19, Gunner Astosh had joined the Indian army. 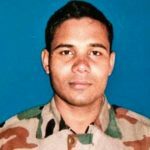 Patriotism and sense of sacrifice ran in the blood of Gunner Astosh Kumar as his father Havildar Lal Sahib laid down his life during the Kargil war in 1999 when he was barely a seven-year-old. Gunner Astosh Kumar was martyred while battling militants on 14 Feb 2017, in Parray Moholla in Hajin area of Bandipura district of North Kashmir. Gunner Kumar is survived by his mother Shila Devi. On the early morning of Feb 14, 2017, Army’s 13 Rashtriya Rifles, the Special Operation Group of J&K Police and the CRPF launched an operation at the Parray Mollah locality to nab militants hiding in a two-storeyed house, after receiving intelligence about the presence of terrorists in the area. While the forces were conducting the search operation, the hiding militants fired upon them, which triggered the encounter. Fifteen security personnel were injured after the hidden terrorists opened fire on them. 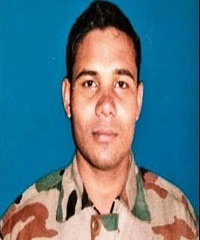 Gunner Astosh Kumar was one of three soldiers who were martyred in the encounter. The injured soldiers were airlifted to an army hospital in Srinagar. In this operation one top LeT commander was neutralized. India is lucky to have had a son like you. I salute you and your family for the sacrifice.